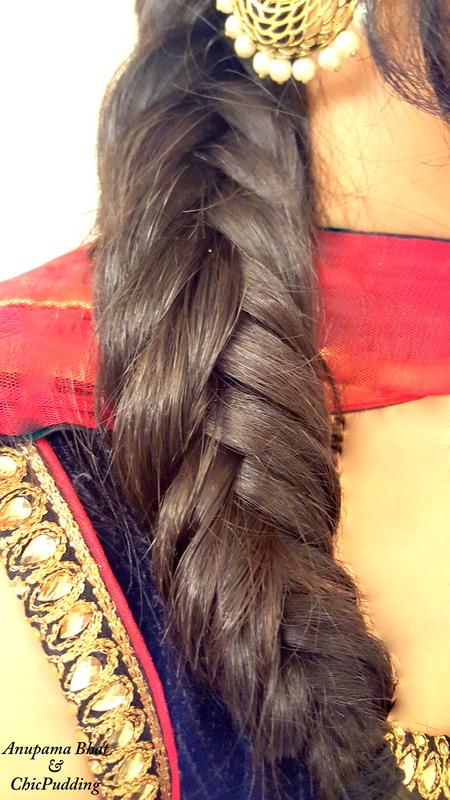 This is a quick hair tutorial of fish tail braid. Hairstyling is done by Anupama Bhat. 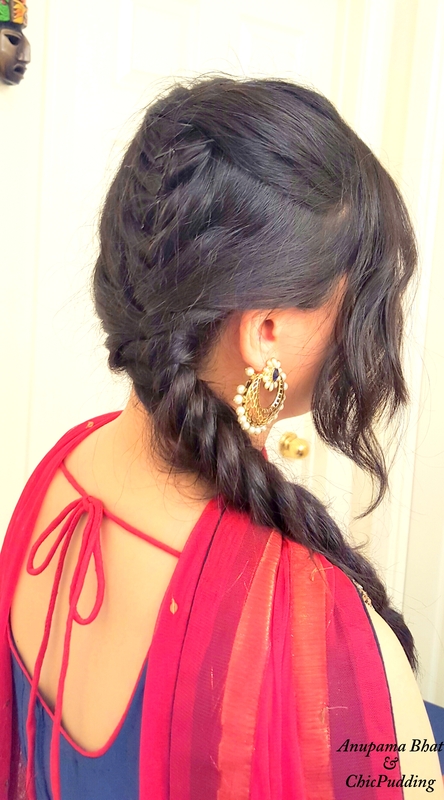 I love this look because you can do it on your 2nd or 3rd day hair. 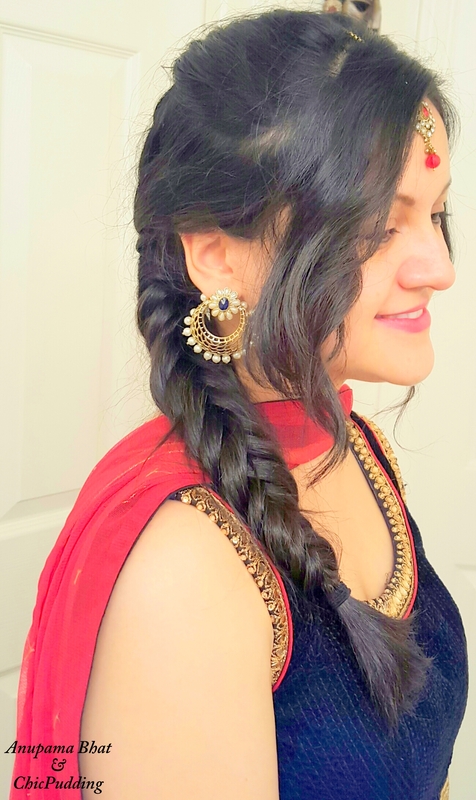 This braid goes very well with Indian as well as western outfits. Very versatile hairstyle. 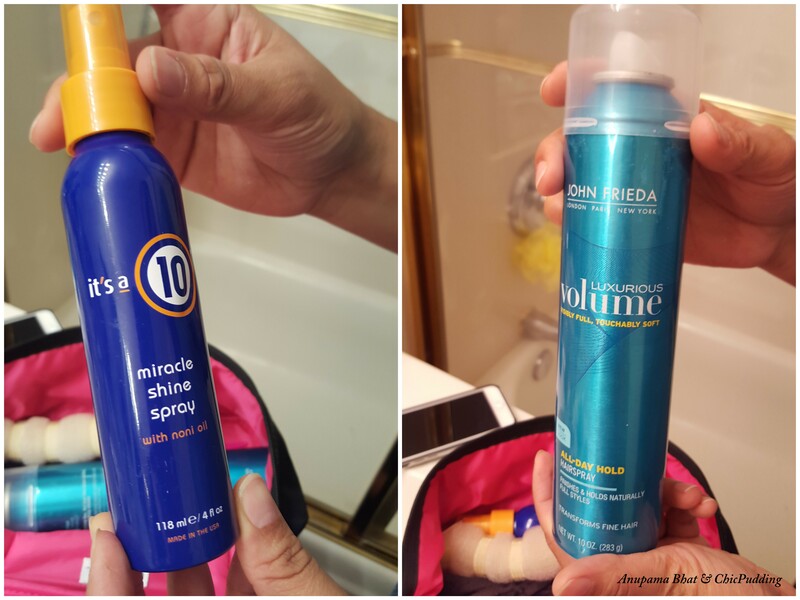 We are using ‘A 10 miracle shine spray with noni oil’. It induces luster and softens your hair. You could also use little bit of serum to soften your hair if they are dry. We are using John Frieda Luxurious Volume All-Out Hold Hairspray. You can use any other all day hold spray.